Casita Coronado is centrally located in the heart of San Miguel de Allende and just a 10 minute walk to the Jardin and La Parroquia. The Mercado de San Juan de Dios with wonderful fruit, vegetables, and arm loads of fresh flowers, is just a short walk away! The Casita provides convienent access to Spanish langauge schools (Warren Hardy and Centro Mexicano are both five minute walks). Please note: Casita Coronado is accessed via a circular staircase which rises from the ground level to the apartment. The staircase continues up to the private rooftop terrace which has 360 degree views. The property contains the Casita, the Casa rented separately (see VRBO listing number 196392), a garage (available if not being used by Casa guests), and the laundry and utility rooms. The Casita has its own private street entrance, a large cheerful bedroom with queen bed, lots of closet space, a complete kitchen, a comfortable dining area with a new sofa bed for when your guests drop in, toll-free calling to the US and Canada, and a great TV/Entertainment area complete with a new flat panel "smart" TV and high-speed internet access. For cold nights we have installed two safe (both vented outside the casita), efficient, wall furnaces. The Casita also has a private rooftop terrace with a tejado, beautiful plantings, and ample seating to enjoy the beautiful San Miguel sunsets. Our housekeeper (Ana) comes to clean and change the linens three times each week. If desired we can arrange to have someone cook for you. The property is managed by an English speaking manager (Andres) who is always on call in case you have any problems. San Miguel de Allende (SMA) is a beautifully restored 400 year old colonial silver city, considered by many to be the prettiest town in Mexico, and it is protected by the government as an Historic Trust site to ensure that it stays that way. SMA offers an extraordinary array of concerts, live theater, lectures and famous art institutes (Instituto Allende and Bellas Artes). Classes are offered in painting, sculpture, weaving, dance, photography, and ceramics to name a few. There is a wonderful English language library with the largest collection of books in English outside of Mexico City. Weekly events are published in the bilingual newspaper, “Atencion”, each Friday. John & Lynn purchased 'Casa Coronado' in 2006. 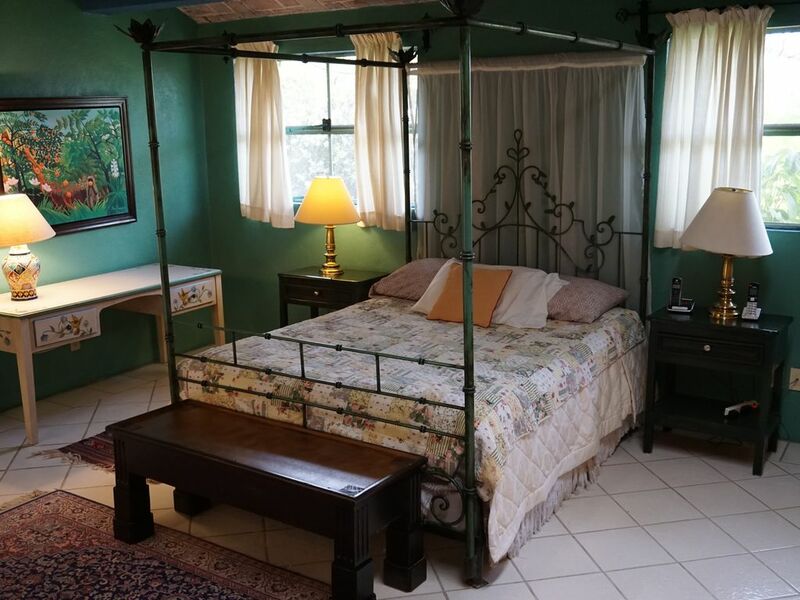 The Casa (VRBO 196392), with its colorful and spacious Casita, is the perfect getaway for our busy families and is a wonderful base for exploring San Miguel de Allende and the beauty that is Mexico! The property is located in a warm and friendly neighborhood. In the years we have owned our San Miguel de Allende home our neighbors (both Mexican and Expatriates) have become dear friends. We continually update the casita to make sure it feels fresh. This winter we bought a new TV, DVD player, Love Seat for the Living Room, Additional seating for the roof top, glasses, knives, sauce pans, veggie spinner, new coffee maker, linens, shower curtains, etc. We want Casita Coronado to truly be your home away from home! I totally recommend staying at the casita. Location was fabulous. I walked everywhere. Having lived for several years in San Miguel, we were very familiar with the town. Our stay at the casita was very pleasant. We were pleased at just how roomy it was. After a day in town , we were able to spread out and enjoy the roof terrace or watch a movie on Netflix . There was also a huge selection of books and dvds. The Casita is very close to the Jardin, an easy walk of about 15 mins. Ana and Andres were very helpful. Andres speaks perfect English and Ana's Spanish is clear and and easy to understand. We enjoyed our stay in Casita Coronado and wouldn't hesitate to recommend it to anyone thinking of a vacation in San Miguel. Thank you Fred! We would love to have you back any time. Great location. Quiet, considering that everything is within walking distance. Apartment is spacious, secure, and well equipped. Everything you need is there, including a private rooftop terrace. Owner and on-site property manager are very responsive and helpful. Would definitely stay here again. Thank you Larry, please return soon and often! Well located, equipped, and private casita! We enjoyed our monthlong stay at the casita. The location was perfect, an easy walk to the Jardin, as well as markets and adjacent neighborhoods. The casita is roomy inside and has a private rooftop patio/garden for relaxing, reading, and enjoying views. We were able to prepare meals in the well-equipped kitchen. The casita is private and relatively quiet. Thank you Michael! The team at Casita Coronado enjoyed having you guys with us last month and look forward to your visit next February!. A charming casita with a beautiful rooftop terrace! The casita is spacious and well furnished! The housekeeper and gardener do a great job taking care of the property ! We had Dish TV and all the amenities of Home!